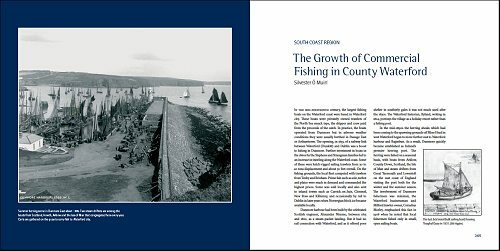 For many of us, the sea, or indeed any expanse of water, exerts a special fascination and attraction, as well as constituting an important economic resource. 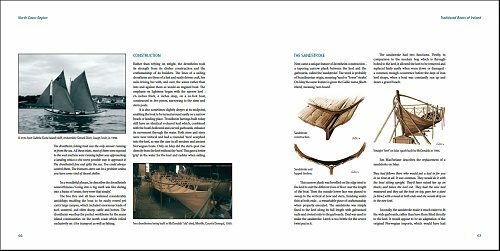 This relationship has helped derive human endeavour for thousands of years, giving rise to boat building, fishing and other maritime activities. 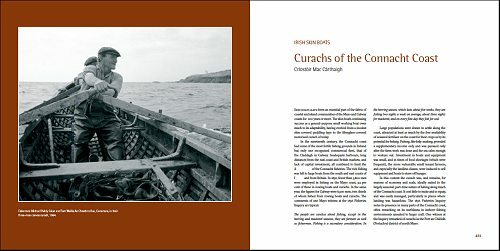 As an island nation Ireland's history and culture has been greatly influenced by the sea - as a means of livelihood, transport and oommunication, and as an infinite source of legend and belief. 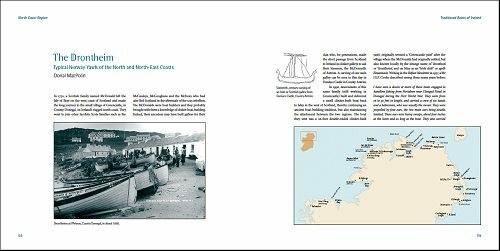 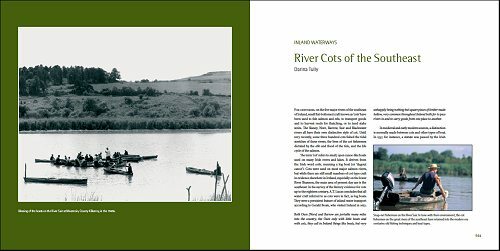 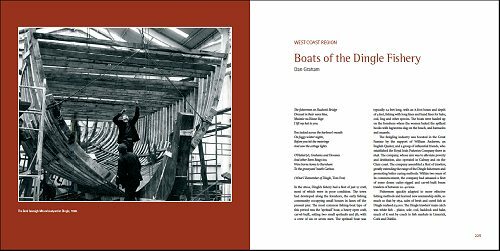 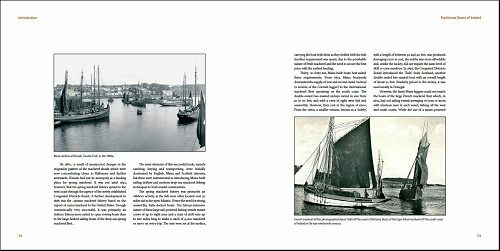 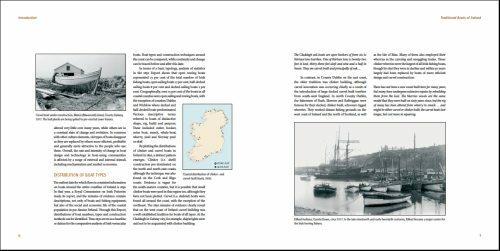 This book examines Ireland's legacy of traditional boats, exploring the different uses to which they were put and the different environments in which they flourished. 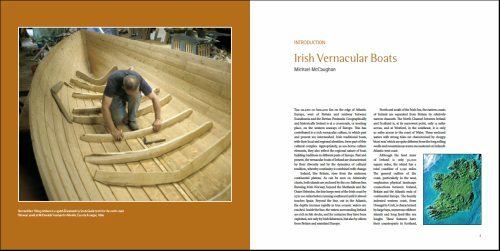 Some 60 distinct boat types are fully illustrated with the aid of technical plans, drawings and photographs. 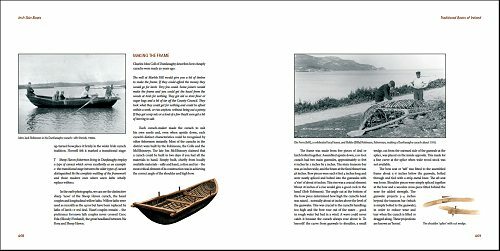 Below are some sample spreads from the book.